These stamps are commonly referred to as “duck stamps,” but their correct name is “U.S. 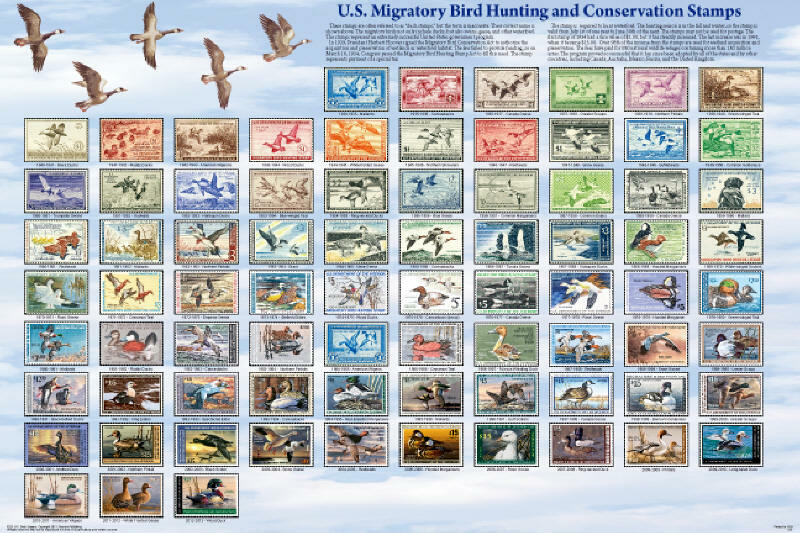 Migratory Bird Hunting and Conservation Stamps,” as shown on the poster. The migratory birds include not only ducks, but also swans, geese, and other waterfowl. 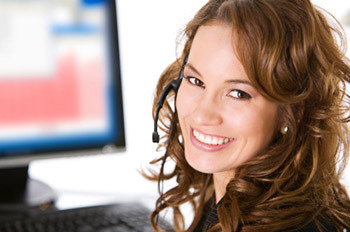 The stamps represent an extremely successful United States Government program. President Herbert Hoover signed the Migratory Bird Conservation Act in 1929 to authorize the acquisition and preservation of wetlands as waterfowl habitat. The law failed to provide funding, so five years later Congress passed the Migratory Bird Hunting Stamp Act to fill this need. The stamp is required to hunt waterfowl in the fall and winter. The stamps are valid from July 1st of one year until June 30th of the next, thus the two-year date. Over 98% of the income from the stamps is actually used for wetland acquisition and preservation. The fees have paid for 580 national wildlife refuges containing more than 150 million acres. The program proved so successful that all fifty states now issue their own stamps. Similar programs have been adopted by other countries, including Canada, Australia, Mexico, Russia, and the United Kingdom. This subject has very broad appeal. The stamps are purchased not only by hunters, but by stamp collectors, those who support conservation efforts, and people who really enjoy the magnificent engravings. Each stamp is a work of art in its own right.